Faced with a belligerent BJP, it is absolutely vital for Mamata Banerjee to maintain a fine balance between land acquisition and the appeal of development. Residents of villages of Bhangar protesting against the upcoming power substation on their agricultural land on January 30, 2017 in Kolkata. Credit: Suchitra M.
Political violence has always been an integral part of Bengal’s history. The forms of such violence – over time – have mutated and transformed themselves. In the series Bengal: Genealogies of Violence, The Wire attempts to capture some of the milestones that mark the narratives of political bloodshed spanning more than eight decades. Read the other articles here. The latest agitation over land acquisition in Bhangar has entered a phase of negotiation with the West Bengal government. Mamata Banerjee seems to have successfully diffused a potentially violent conflict, at least for the time being. The significance of this development cannot be underestimated for politics in the state as well as the country. Banerjee herself came to power supporting the violent protest against land acquisition by Left Front in Singur and Nandigram. These episodes witnessed serious armed conflicts between the regime and the local population with Maoist help, which finally eroded the legitimacy of Left rule over three decades in Bengal. In a bid to woo the urban classes with new investments for industrial development, the rulers saw it fit to risk the political support of rural Bengal. It practically put an end to the regime’s longstanding claim of looking after the interests of poor people, especially the farming population. Ironically, the countryside is what provided its core support base for many years, reaping as it did the benefits of successful land reforms and panchayat system, adding credit to a new governance model. As this formidable base shifted to didi in the wake of these episodes, it also took away significant sections of urban civil society. Seven years down the line, the Left appears bereft of both rural and urban support bases, with the BJP overtaking it as the main opposition to Trinamool regime. It is difficult to imagine that Mamata, who has fought the Left since the 1980s, will not have learnt from the Left’s mistake. Faced with a belligerent BJP, it is absolutely vital for her to maintain a fine balance between the threat of land acquisition and the appeal of development. Most of all, she cannot be seen quickly resorting to violence to acquire land for development, which is what distinguished her from the Left and turned the electoral tide in her favor. The difficult game she must play is how to carry out industrialisation without threatening agriculture. The initial years of her regime displayed a flurry of such signals, where she has even designed a new logo to market the state to investors, and announced projects for the near future. Since these projects will need a growing land pool, they will be testing Banerjee’s political skill in avoiding violent conflicts, and so far she has managed well. If the once formidable Left has been painted into a corner, it has only itself to blame. 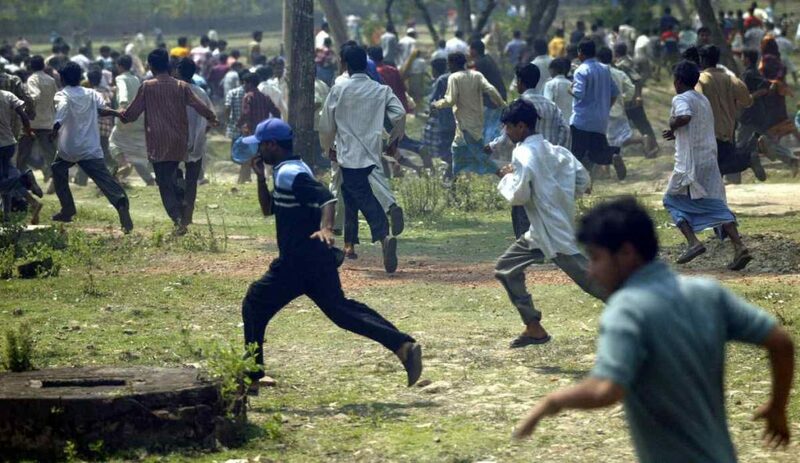 The violence in Nandigram created deep confusion and drove serious rift within their own ranks, perhaps alienating the younger generation more than others. Many cannot justify the reversal in their policy and politics with regard to land and development, questions that have always invited violence in the history of Bengal. The irony is that, more than Mamata, the Left’s own rise to power has followed a long phase of militant struggles to secure the cultivator’s right to their land. Their biggest problem is now to reclaim that legacy. But it is easier said than done. Land and development have become highly thorny issues right across the country. They stick out everywhere, from Uttar Pradesh and Chhattisgarh to Orissa, from Assam to Kashmir and Goa, from Andhra to Bengal. Besides identity, land is certainly one of the most emotive and explosive issues in current Indian politics. With the economic decline of dotcom, the onus of growth has fallen on a new surge of urbanisation and real estate, technology parks and hospitality industry, industrial corridors and mineral extraction, all of which crucially depend on large-scale land acquisitions. But the use of ’eminent domain’ for such acquisitions is now more problematic than it was during the colonial and Nehruvian periods. Even high rates of compensation, rehabilitation and stake-holding arrangements fail to make acquisitions easy today. A growing sense of rights over natural resources accompanies the new struggle around identities. The indigenous claims to ‘jal-jangal-jameen’, the provision of scheduled areas, the demand to acknowledge ancestral and sacred lands, the grassroots nature of resistances – all these have made land acquisitions a dangerous minefield for democracy. It is increasingly difficult to persuade middle-rung and marginal farmers to give up farming and seek jobs in the city, since these jobs are extremely difficult to come. The shift from manufacturing to service economy has made this transition both difficult and unacceptable to many of them. They prefer to maintain a cycle of seasonal migration circulating between informal jobs in cities during the lean season and turning to cultivation and investing in farming plots on a regular basis. Any attempt to permanently displace them from their roots is likely to meet mobilisations willing to turn violent against the state or regime. The scenario is not very different in West Bengal, and Mamata Banerjee is shrewd enough to know this. More than typically the urban classes, it is the poor and rural segments that form her loyal electoral support base. The last thing she will want to do is to risk a violent confrontation with this population that is deeply attached to land. Indeed, the slogan at the heart of her propaganda explicitly recognises the significance of land. Ma-mati-manush (mother-soil-people) appears to be an enduring refrain of her regime. The phrase was dismissed as cheap and melodramatic by the Left when Banerjee first coined it. Paradoxically, it strongly resonates with older slogans of the Left itself, when they led farmers’ struggles back in the 1950s. Many still remember ‘Tebhaga’ agitation in late colonial Bengal. It was a militant outbreak of peasants who met the colonial state’s violence with armed resistance led by Communists. A few of its leaders went on to lead the Naxalite movement in the late 1970s that started as an armed peasant movement in north Bengal. The songs inspired by ‘Tebhaga’, like Salil Chowdhury’s ‘Hei samalo dhaan ho’ or slogans like ‘Langol jaar jomi taar’ were deeply kindred with the peasant’s existential and emotional relation to land, which is not far from what Banerjee’s slogan signals. Indeed, there is a clever way in which Banerjee has turned the wider perception of her politics and of herself as a leader into what people once broadly identified with the Left. Having traded places with the Left in a sense, she is now making the Left appear elitist and opposed to the masses, just as the Left had done to the Congress before. What adds force to her spin is the recent memory of Singur and Nandigram, when the Left practically undid what it had done before. What has the Left done in these instances that other parties have not done? There have been parties before and after that have promised to champion the poor and the peasants and let them down on important occasions or compromised their interests. Yet that is precisely the problem. The Left used to enjoy a rare distinction in this regard, even when it turned to electoral arithmetic and pragmatic governance in Bengal. There was a consistency for the most part maintained between its past when it led militant movements and later when it directed governmental measures and institutional reforms. This continuity was violently disrupted with the incidences of Singur and especially Nandigram. Nothing could have made the contrast starker. There was the old Left that led the Tebhaga and similar struggles elsewhere like in Telangana, where it supported armed peasant outbreaks for land and right to cultivation. Here was seemingly another Left heading a formidable regime, which did not hesitate to unleash a private army of cadres against peasants fighting against the acquisition of their lands. In the ruling Left’s view, such a conflict was unavoidable for the sake of development, since industry has never progressed without such violent transformations. The peasant resistance thus appeared to them as fundamentally an opposition to progress. Even if they are theoretically right – which is debatable – there is little doubt that it was a costly political mistake. Not only was Mamata quick to fill in the space vacated by them she has also given her politics a culturally subaltern ring that brings her arguably closer to the rural masses. In telling contrast to the Left, Mamata’s politics appears deeply personalized and purposely focused on a populist visual transformation of public spaces as the signs of development. The Left had an organised ‘party society’ that managed the threat of violence well until the point when it opted for aggressive land acquisition. Mamata seems to have a more localised and diffused structure of party that explicitly allows a certain degree of violence by cadres on the ground alongside disbursing populist schemes. But, of course, the attempts to polarise the population can be largely neutralised by creating new industry, jobs and investment in the state in the near future. At the same time, this will invariably require new land acquisitions, which are again likely to provoke violence that the opposition will be only happy to foment. That is why the seeds of a larger trouble seemed to be brewing in the Bhangar agitation, which could have well become Mamata’s Nandigram moment. It is the first serious hurdle she has managed to cross in that sense, without upsetting the fine balance between land acquisition and development. But from the manner in which the agitation was diffused, it is not clear if it has the potential for offering a standard resolution for such cases in future. How long can Mamata afford to avoid the mistake made by the Left in the past? Can she find a better way to deliver development without tackling violent resistance on the ground? This is the key puzzle not only facing her but many across the country. We may choose to remain optimistic even as the history of Bengal suggests otherwise. 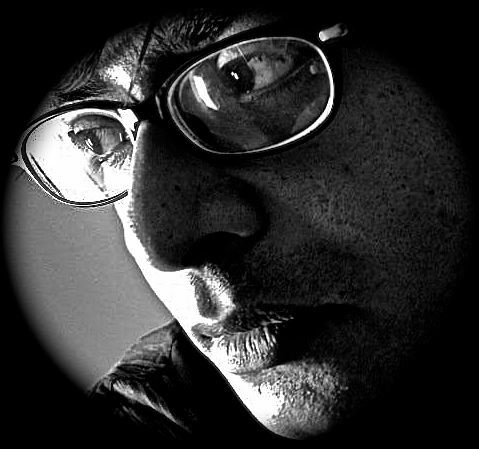 Rajarshi Dasgupta teaches at the Centre for Studies in Politics, Jawaharlal Nehru University. He works on Left politics, refugee history and urbanisation.